We’ll be closed on Sunday, July 3rd to celebrate the 4th of July Holiday, as well as chef Zach’s birthday (Happy Birthday Zach!) and bartender Kate Barry’s wedding (Congratulations Kate!!). Have a safe and happy 4th, and please join us on another night! 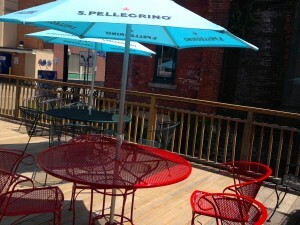 Yes, our delightful deck is opening tonight, Weds May 11th! We’ll serve the outside menu for the first night as a special opening treat!! Thursday, May 12 the cart will be up and running and we start lunch outside (11-3)!! We’ll serve dinner outside on Thursday as well, but it looks a little cool over the weekend for evening service, so be sure to grab lunch Friday or Saturday. We have the tent up so a few raindrops will not deter! Check our Facebook Page for daily weather updates and specials, we’ll keep that updated as the crazy Spring weather continues… but if it makes sense to be open we will open!!! 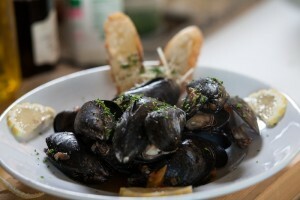 A few weeks of the ever-popular Sunday Bistro Menu (and dollar oysters) remain… April 24th is the last! AND… we’ll be participating in Vermont’s Restaurant Week, with a special $40 menu, starting on April 22nd. More information here. 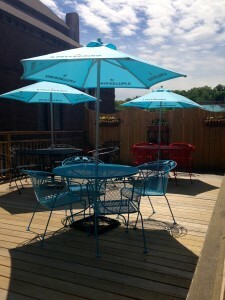 ALSO… the deck will be open before you know it! Spring is in the air along with those pesky snowflakes. We’re hoping to be open for dinner (or at least apps and drinks) by Mother’s Day weekend, and will roll out lunch soon after. Do your warm-sunny-weather dances and look for us outside while we’re staining the deck, painting the bar, and dusting off the furniture. We’ll be closing for vacation starting Easter Sunday (March 27th) and re-opening Wednesday, April 6th..
Be sure to join us before that, or contact us for a reservation from April 6th on. Happy Easter, and Happy Mud Season!! 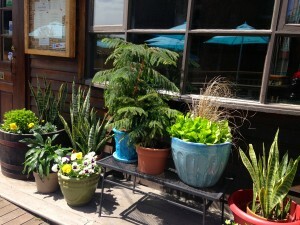 Spring in earnest, and with it deck dining, are coming right up! Look for our tent going up and tables coming out of storage, soon! We’re excited to be hosting a Northern Italian wine dinner on Monday March 21st at 6 pm. Wines from all over the North (Alto Adige, Veneto, and Piedmont) will allow Zach to showcase some of his best cuisine. Join us, and Leonardo LoCascio’s Scot Hudson who will help talk us through the wines. 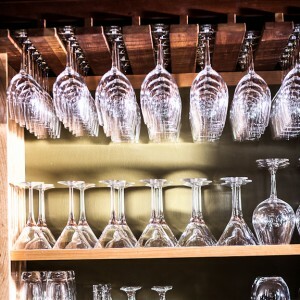 It will be a memorable evening of wine, food, and conversation. 5 courses, 6 wines $75 (tax and tip not included). We’ll be closing for our annual spring vacation starting on Easter Sunday, March 27th, and re-opening Wednesday April 6th. Come in for dinner over the next 2 weeks to get your fix! Monday night March 21, 2016 at 6pm we’ll be featuring Italian wines and some great cooking by Zach. More information to follow soon! For now, save that date. Happy New Year!! Our popular Sunday Bistro Menu (and even more popular, get-’em-while-they-last Sunday $1 oysters) will begin on Sunday January 10th. Join us for an evening of casual fare. We also serve the regular menu that night, so Sundays are perfect for fancy dining, too. See you on Sunday night! Menu can also be found at https://www.peterhavens.com/?p=303 if you need to cut and paste. In this season, we extend the best of wishes to all our customers, new and old. Join us for an evening of good cheer! We’re closed for a few days of vacation! 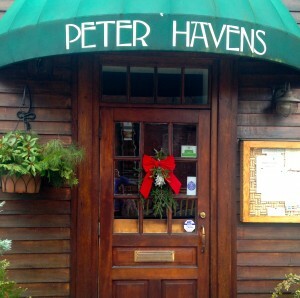 Peter Havens is closed Sunday 11/15, Wednesday 11/18, and Thursday 11/19. We’ll re-open for dinner at 5:30 on Friday 11/20. Join us then, or thereafter!